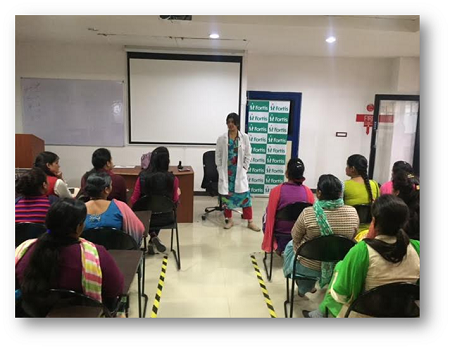 Fortis Mohali organised a health awareness talk for employees of Havells in Baddi. Dr Ekawali Gupta, Department of Gynaecology & Obstetrics, spoke on basic health of women and common problems faced by them. 46 employees attended the session.